Vehicles entering a parking garage or tunnel, also with daylight outside and low light levels inside. During B/W IR mode, WDR function is vital to identify license plate between strong lamps. 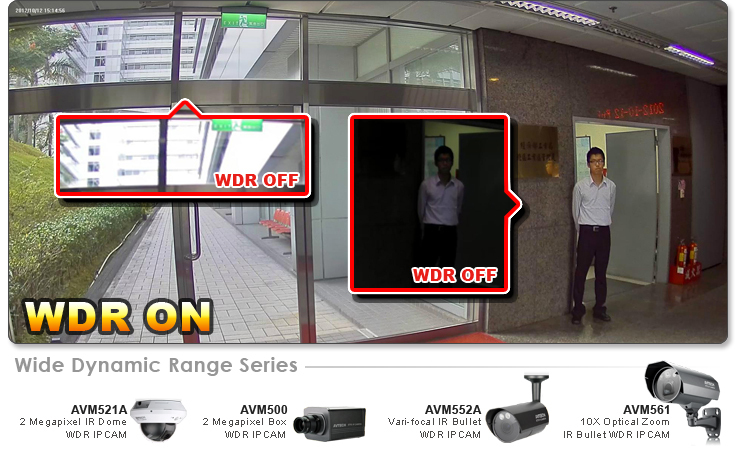 Surveillance of entrance doors with daylight outside and a darker indoor environment. This is very common in retail shop and building applications.